I can always tell a good tater, TD. At least the pictures of them will remain on this site for a long time for us to admire. 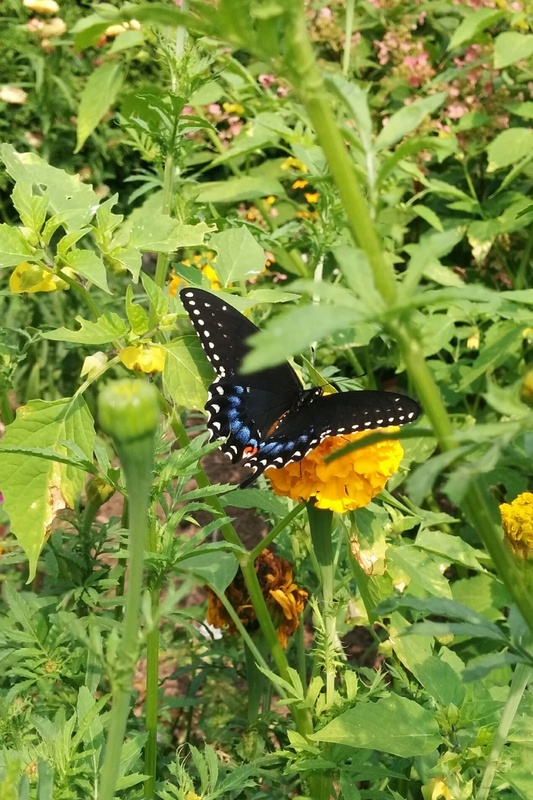 Visitors to the garden (Monarch and Swallowtail butterflies) plus a few of the Canada Crookneck Squash on the eight foot high "megatrellis". My 2 Canadians are 8" and 8 1/2" long. I'm so glad they are working out for you. Big - Congrats - how did it taste. @yolos wrote: Big - Congrats - how did it taste. Have not tasted it yet but will do so today. We have been away and then had friends visiting so the garden has been neglected. Everything is now overgrown and powdery mildew is everywhere on my squash plants. As well the wind blew over my bamboo pyramid which was top heavy with bean vines. There are lots of things to harvest. So I need to get out there and do some cleaning up. What is that green stuff under the scallops? Besides beans, what else will you be harvesting? I'll pass on the scallop squash but I do love Canada Crookneck! Great pics. @sanderson wrote: What is that green stuff under the scallops? The green stuff is supposed to be grass but now it is mostly white clover which I have allowed to take over big areas of the lawn. Things ready to harvest are potatoes (lots of potatoes I think), tomatoes (probably will need to make sauce for future use) and kohlrabi (but I think I let these one grow for too long). There are a few eggplant fruit, lots of kale (will freeze for smoothies) and a huge basil plant (for pest?) to harvest as well. And I think some of the Canada Crooknecks can be taken. 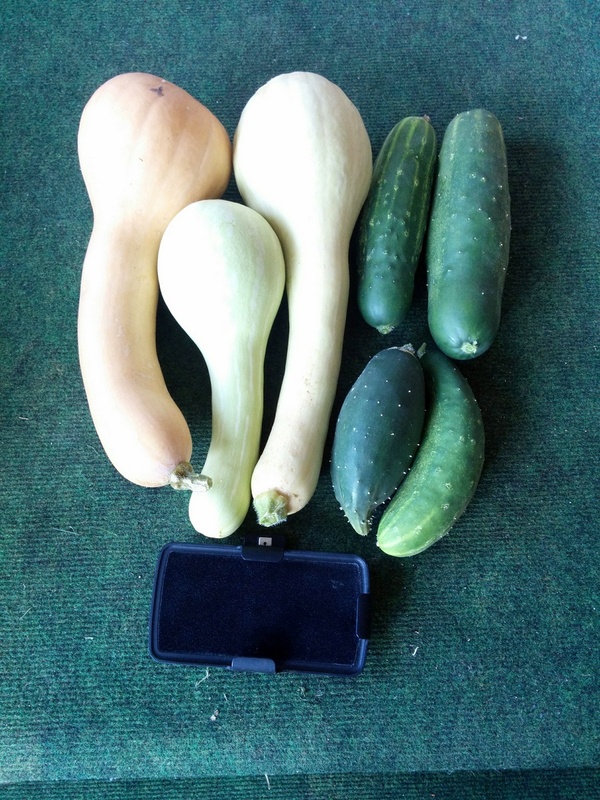 There are things that are doing well but which are not yet ready for harvest including parsnips, carrots, onions, leeks, acorn squash and of course more Canada crookkneck squash. On another subject (i.e., not this year's harvest), I am thinking of cutting back on the size of the veggie garden next year. Not sure I will have the discipline to do that but if nothing else maybe I can put an end to the annual expansion. One area that will be returned to lawn is where I started the lasagna garden last Fall (it is now an old style SFG bed). The area that I currently have as a straw bale garden will be converted to an old style SFG bed (for potatoes) or given back to the lawn. @trolleydriver wrote: . 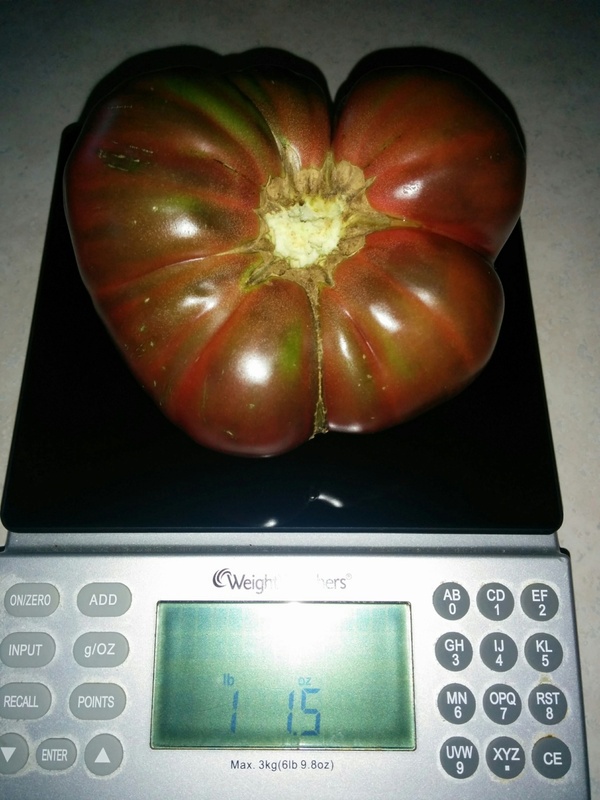 . . On another subject (i.e., not this year's harvest), I am thinking of cutting back on the size of the veggie garden next year. Not sure I will have the discipline to do that but if nothing else maybe I can put an end to the annual expansion. . . I think you said that last year! Then added the lasagna and hay bales. Just a suggestion, why not use the lasagna bed for passively making compost like you did last fall? Isn't it a 3' x 6' bed? Build it 2' tall and you should have 18 cubic feet of compost come summer. At a rate of 2" per sq. ft., that would amend 108 sq ft. of beds. Yup you are right ... I have no discipline when it comes to stopping expansion of the veggie garden. I still have an empty 3x3x3 compost bin available for making compost. But yes the lasagna bed is 3x6 and last year I built the pile 3 feet high. It has been great for growing potatoes this year plus a volunteer acorn squash and collards. I may us the area of the straw bales as a big compost pile this Fall. The bales are breaking down and will make an excellent source of material for composting. @trolleydriver wrote: Yup you are right ... I have no discipline when it comes to stopping expansion of the veggie garden. 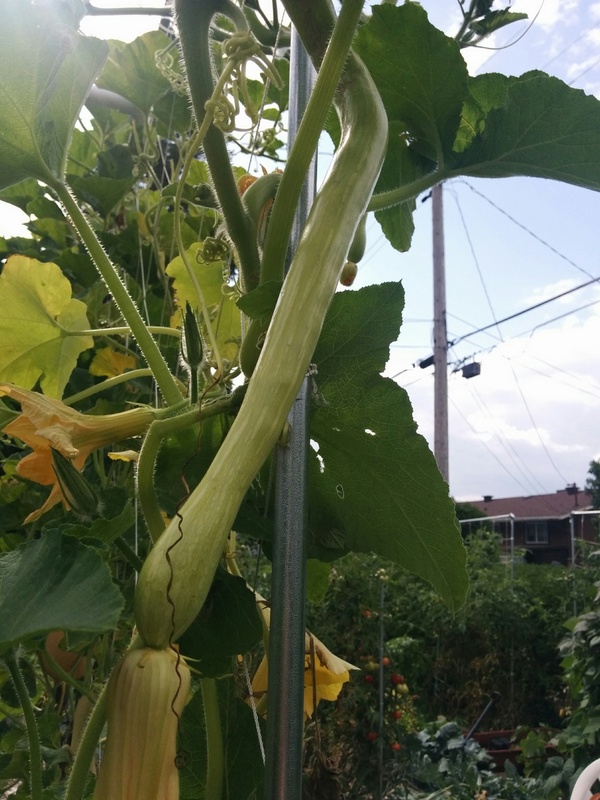 Getting my first tromboncino squash on a plant that was almost destroyed by a critter at the beginning of the season. It's growing fast and I hope there are enough warm days left for it to mature. 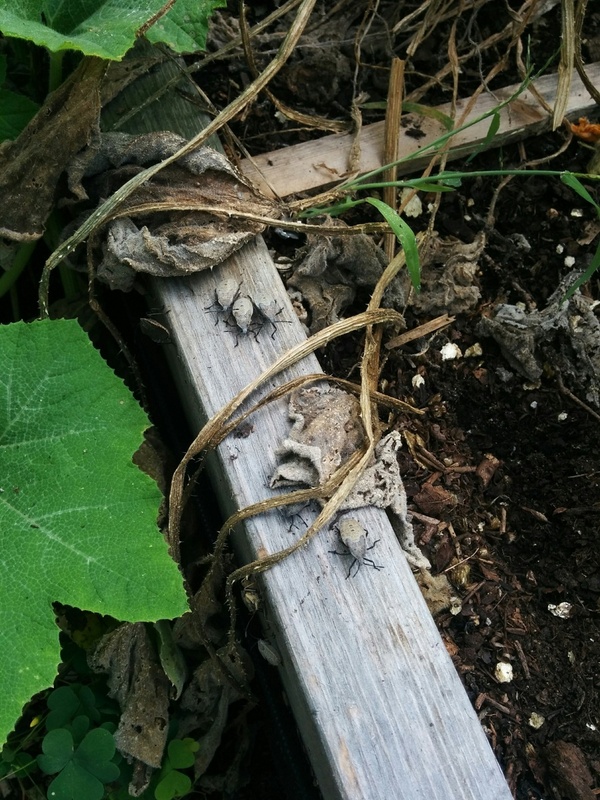 Looks like a squash bug convention going on here. I sprayed them with soapy water and they are no more. I love harvesting potatoes. It's like going on a treasure hunt for Yukon Gold. 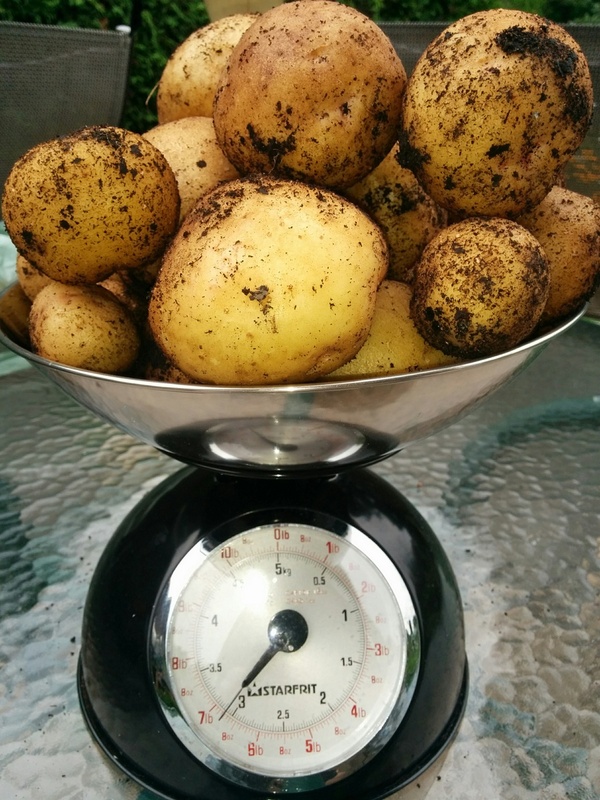 Got 6lb 12oz of potatoes from three plants today. 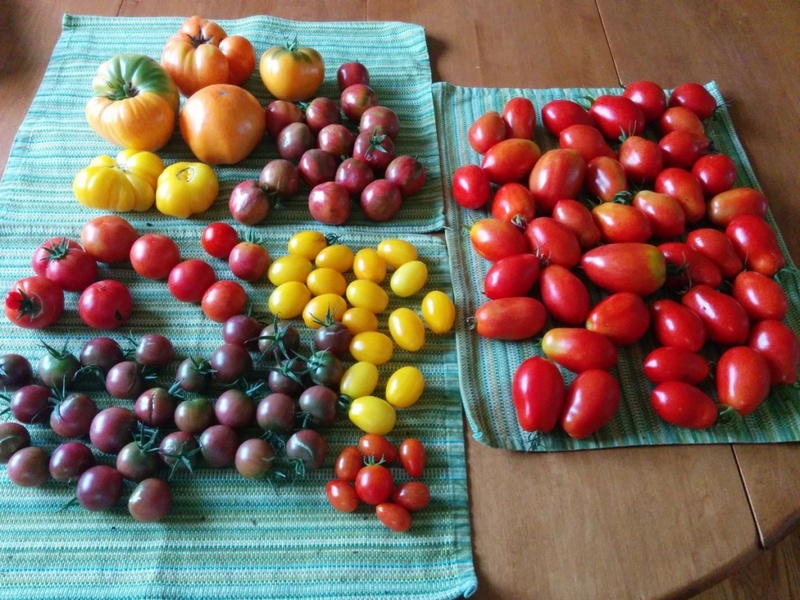 Nice harvest of various toms weighing in at a total of 13lb 12oz. Some of the Romas are cooking in the crockpot for marinara sauce. 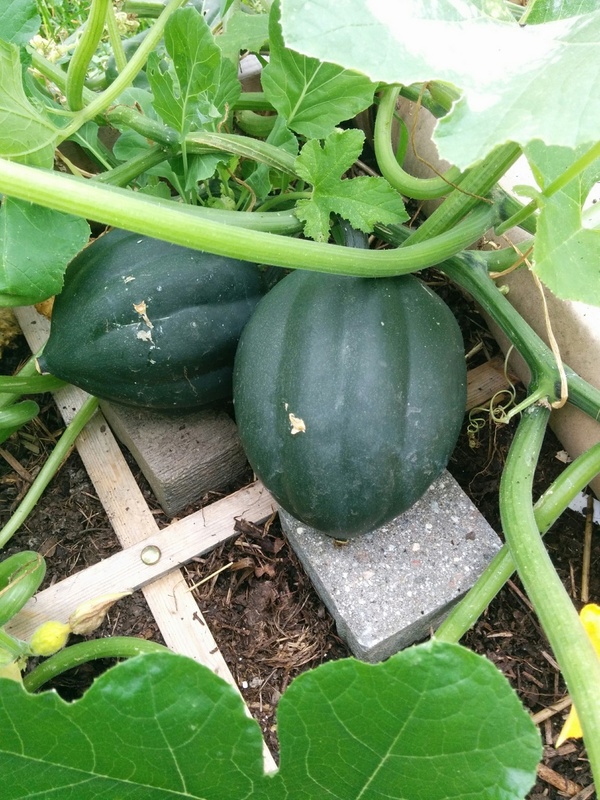 Couple of acorn squash on a plant that came up in the potato bed. On the weekend I took off a whole bunch of powdery mildew infested leaves on squash plants. I was greeted this morning by a multitude of flowers. @trolleydriver wrote: On the weekend I took off a whole bunch of powdery mildew infested leaves on squash plants. I was greeted this morning by a multitude of flowers. Don't they love it when you remove a few leaves and open them up to the sun? 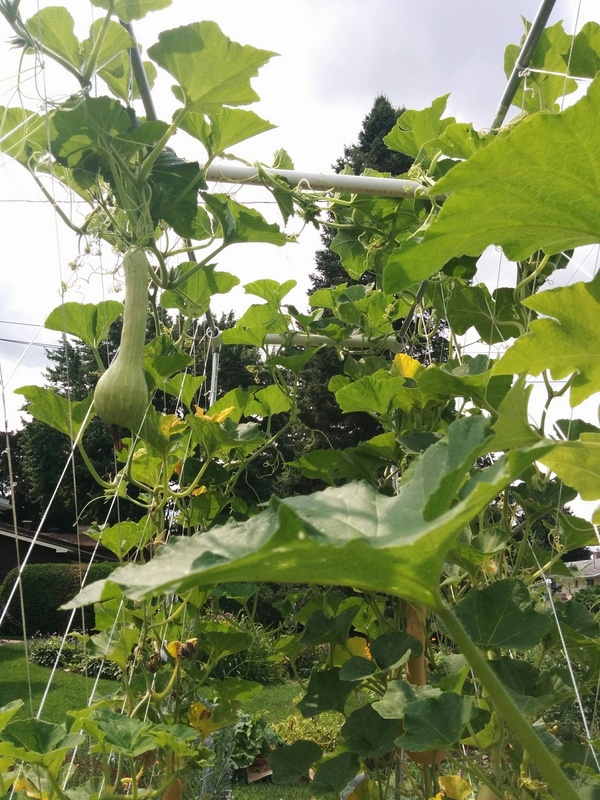 A lot of people I talk with are really scared about pruning their squash plants, and it is hard to convince them the plant needs air & sunshine. Have you ever tried Neem Oil for Powdery Mildew? 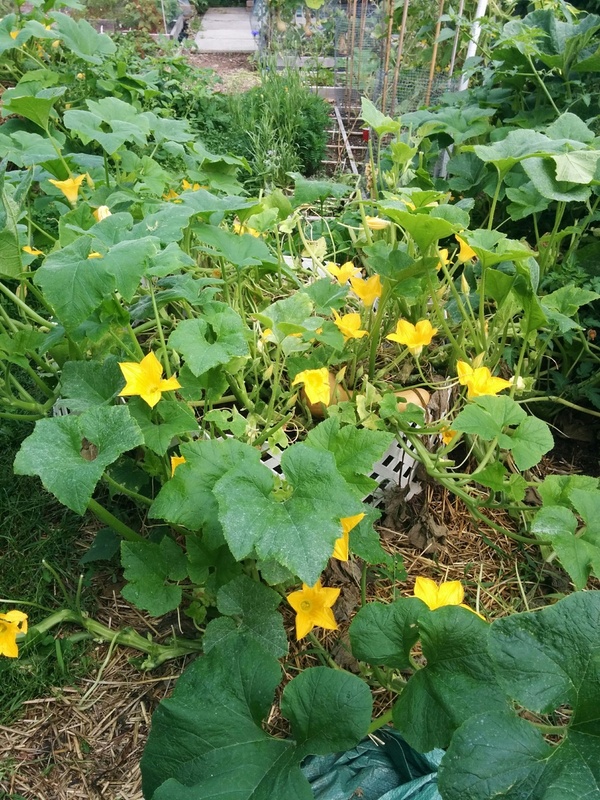 It is better to prune Squash, but for other plants I use a mixture of 1Tbs each of Neem Oil & Dr. Bronner's Soap per gallon of water as a spray on Powdery Mildew and it immediately eliminates it. We had some Peony's that were badly infected with Powdery Mildew, and I sprayed them the day before yesterday after the rain. 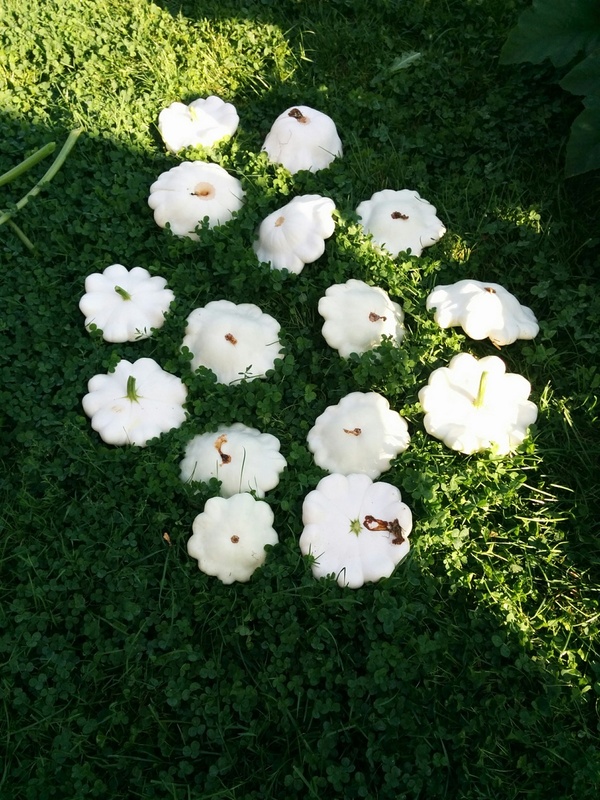 Today they are totally free of the Powdery Mildew. Nice, TD! I wish I had a scale like that! I have never tried need oil for anything. I use milk spray for PM. Have not had to do it this year, but I still haven’t ventured out there, too dang hot and that work thing....Milk spray works, but if it is well established, not so much. Looks like powdery mildew is going to win out on some of my squash plants. It's well estrablished so doubtful anything will stop it. Have not found a good source for neem oil here in Canada and it's probably too late for milk spray to be effective. 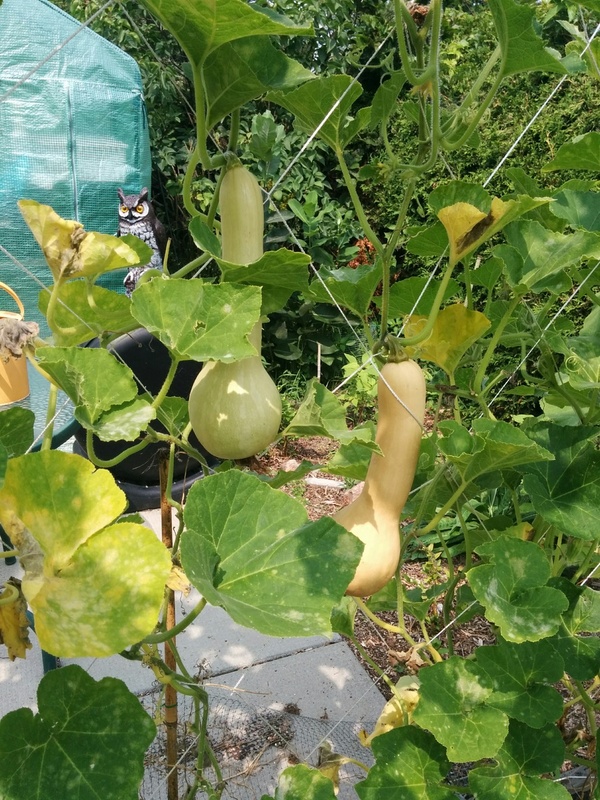 Some of you may remember the Canada Crookneck Squash plant that I started indoors in the Spring and which grew in a pot located in our living room front window. 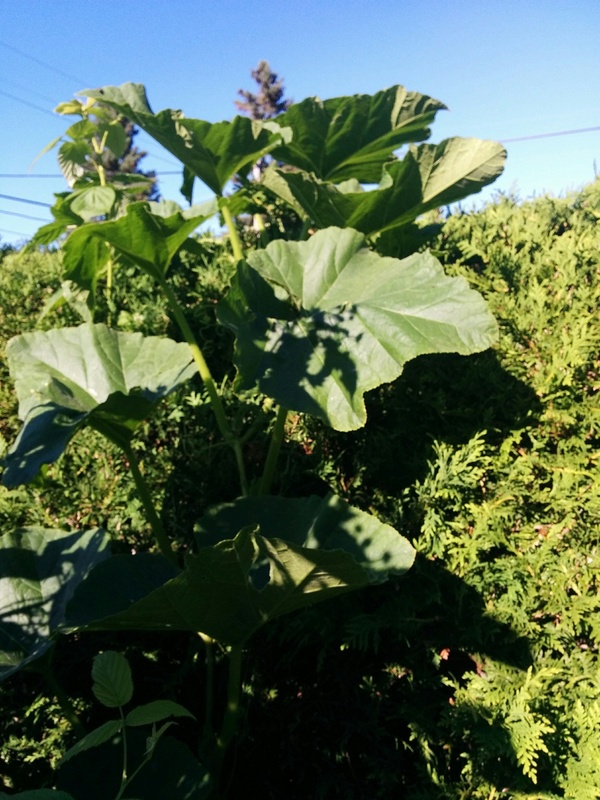 It grew 3 or 4 feet high and was planted outside behind my 3x3x3 compost bin. Well that plant continued to grow outside and decided it would use the cedar hedge as a trellis. 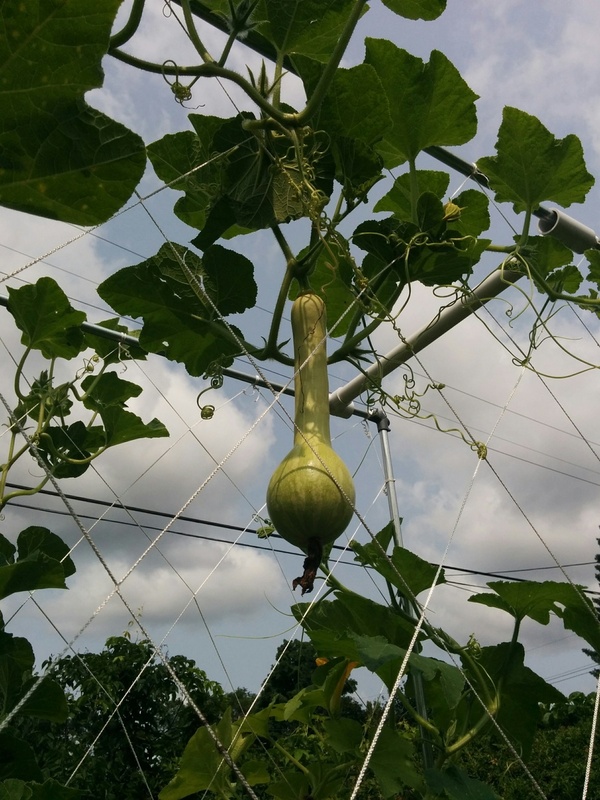 It has produced a large squash. 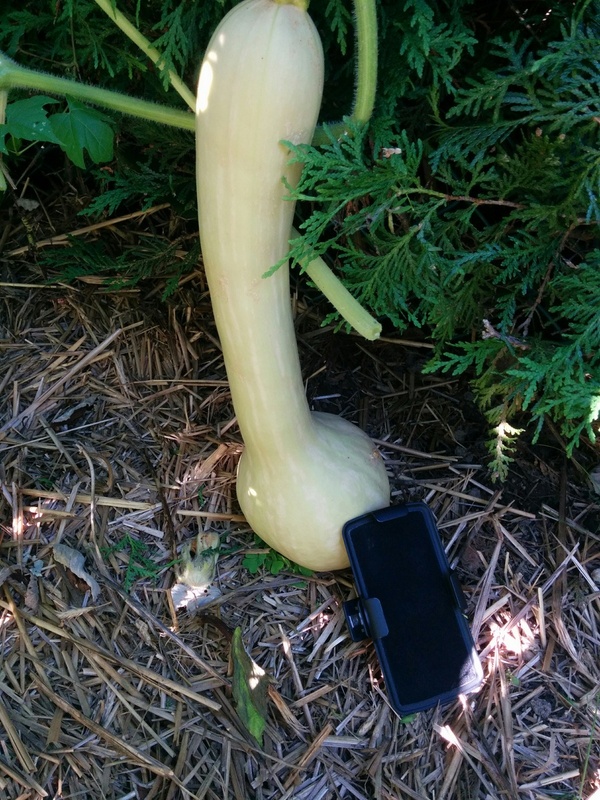 In the photo I placed my phone case next to the squash for size comparison. 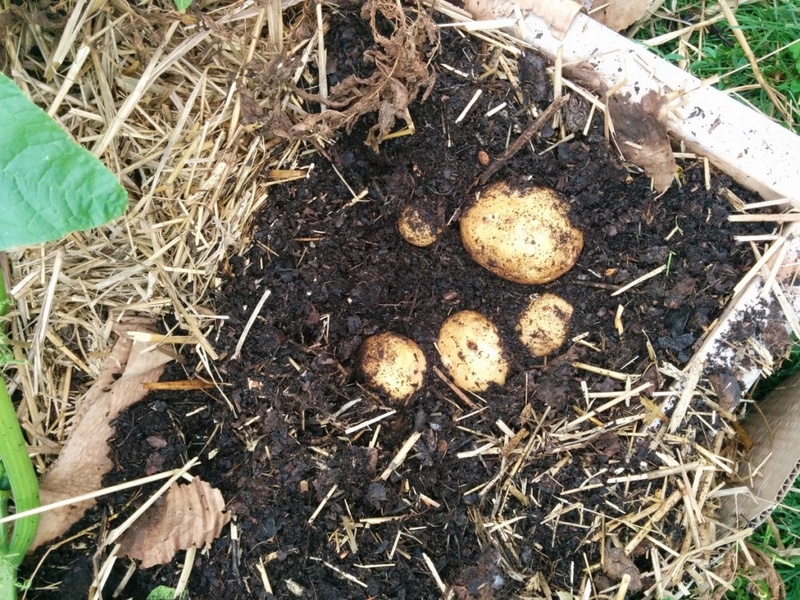 I found these Canada Crooknecks on another plant that was growing in a pile of compostable materials. One is mature and beige in color but the other two are still green. I had to remove them because the plants were infested with powdery mildew and some of the vines were entangled with tomato plants growing in my nearby hardware cloth compost bin. You are having good luck with the Canadian crooknecks! @sanderson wrote: You are having good luck with the Canadian crooknecks! 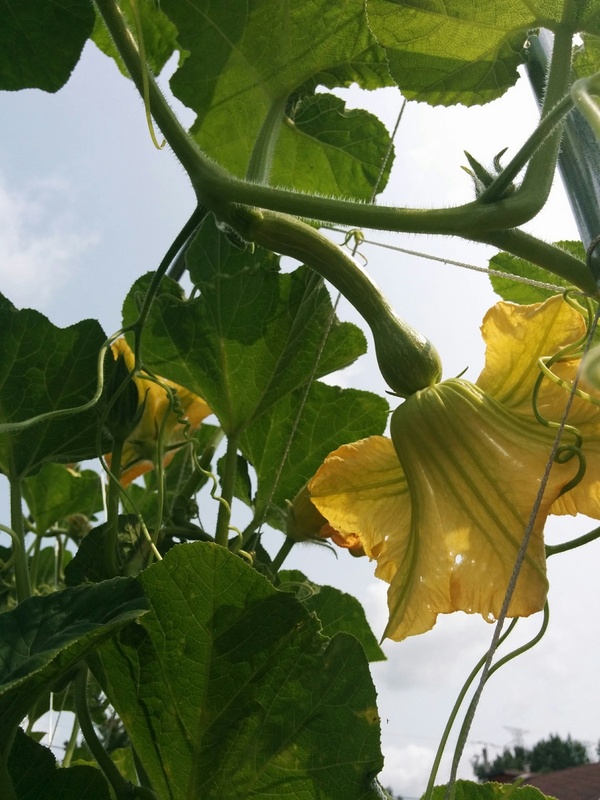 Yes, they seem to do very well here and so far they are immune to squash vine borer. Thanks for suggesting that I try growing them. This second year harvest will be better than last year. I grew Blauhilde Pole Beans for the first time. Today I harvested one and a half pounds of the purple beauties. 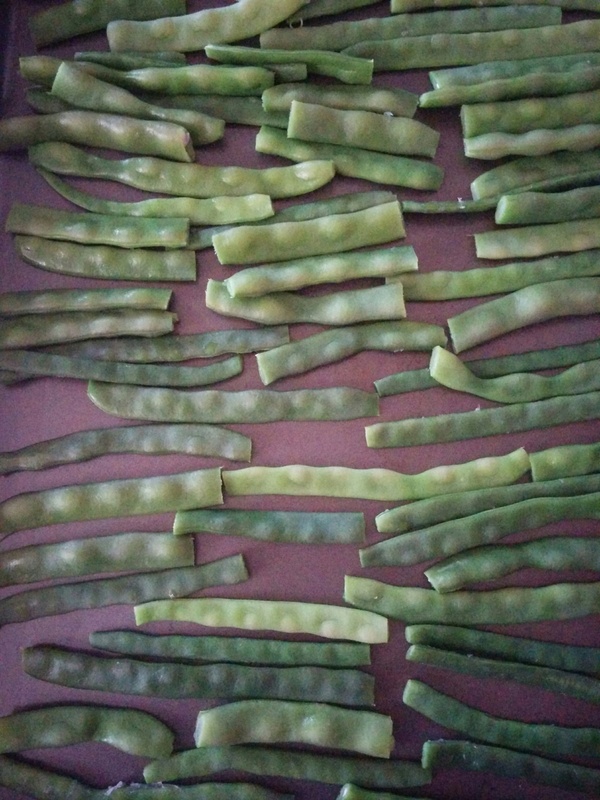 I blanched them (they turn green) and froze them. 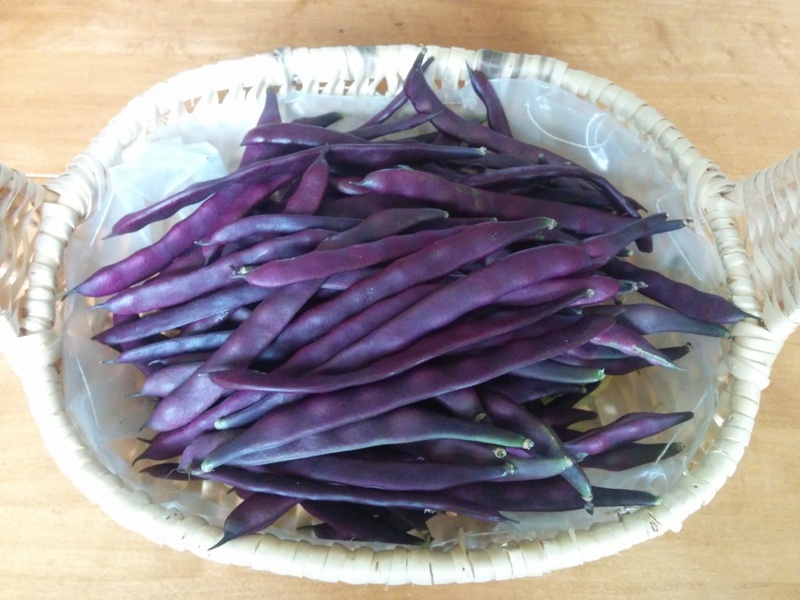 @trolleydriver wrote: I grew Blauhilde Pole Beans for the first time. Today I harvested one and a half pounds of the purple beauties. I blanched them (they turn green) and froze them. My absolute faves! 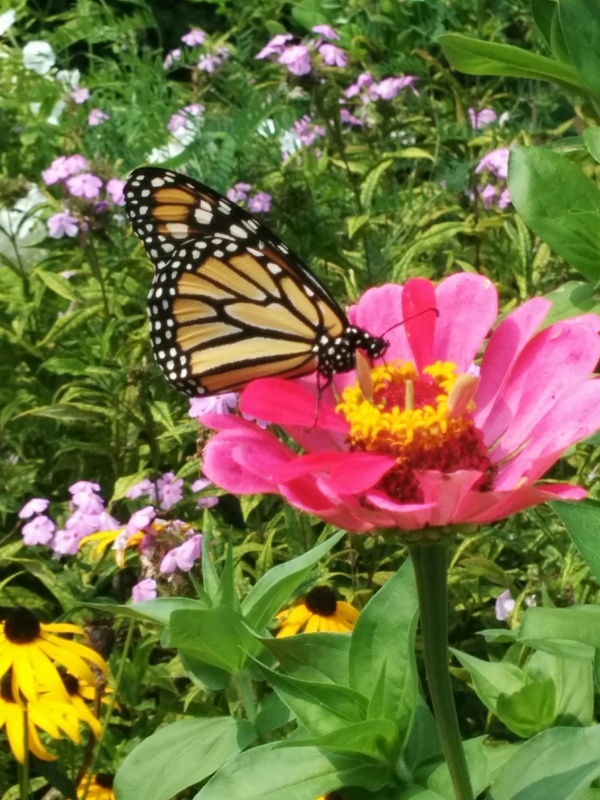 They produce like crazy, you can find the beans, and their lovely purple blooms attract the pollinators in droves. And somehow they seem less attractive to the JBs....loves my Blauhilde. TD, How long did you blanch them? @sanderson wrote: TD, How long did you blanch them? I aimed for three minutes. Beautiful beans! It's so amazing how they turn green when cooked. I've never heard of Blauhilde Pole Beans but will be on the lookout for them. This has been a stellar snap bean year for me, too. The bush beans kept producing for ages.